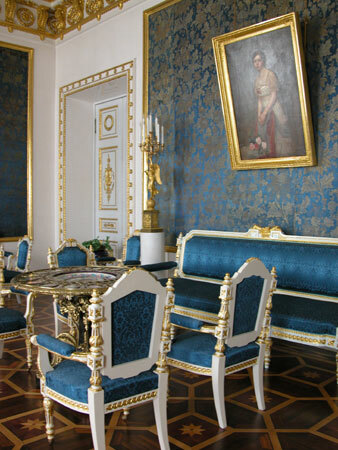 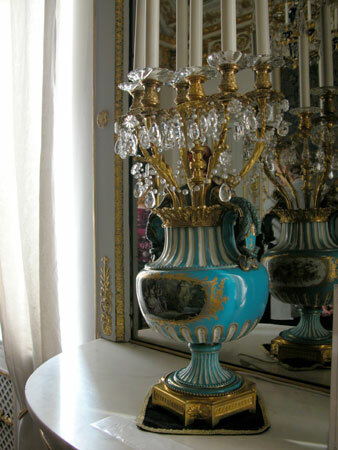 And finally the last album dedicated to the interiors of the Yusupov palace. 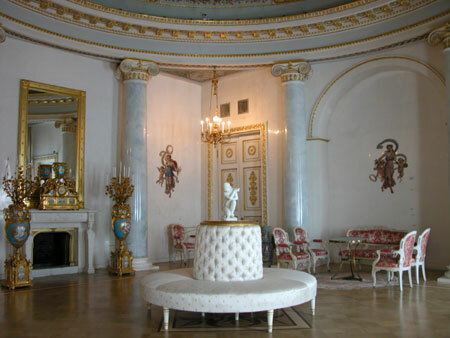 Just as the Red and the Blue drawing rooms, it is designed by A. 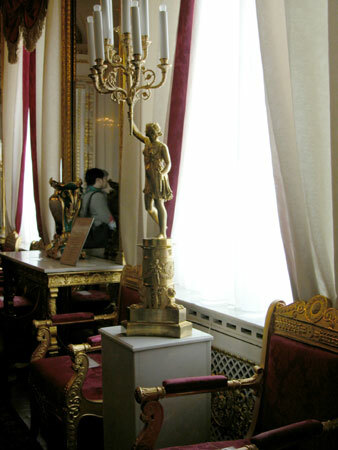 A. Michailov in the 1830's. 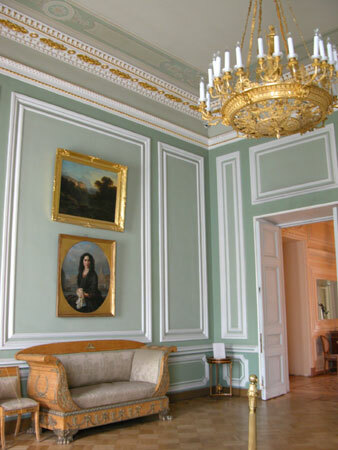 The upper painting on the right is "The View of Revel" by A. P. Bogolubov. 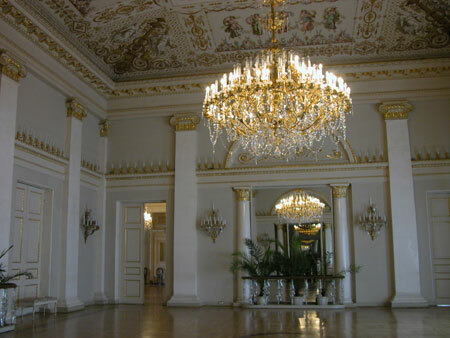 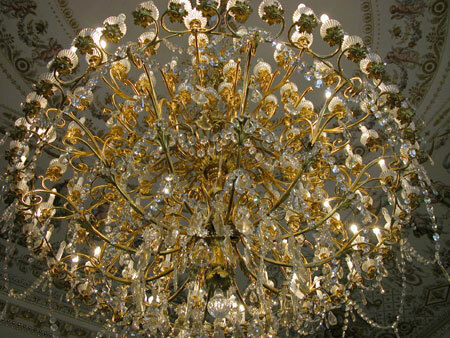 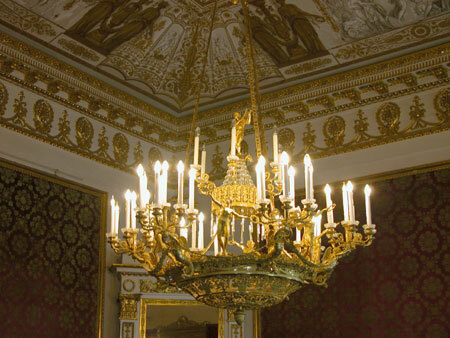 The chandelier dates to the beginning of the 19th century, and was manufactured by the workshop of P. Gede in St. Petersburg. 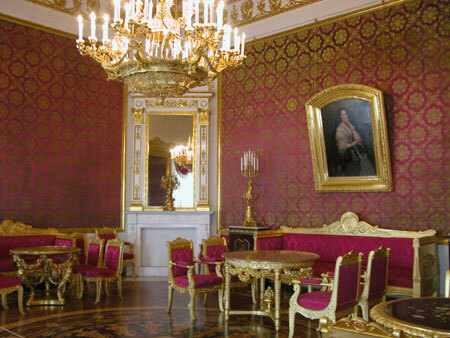 Next is the Red drawing room (also known as Purple, Gold, or Imperial). 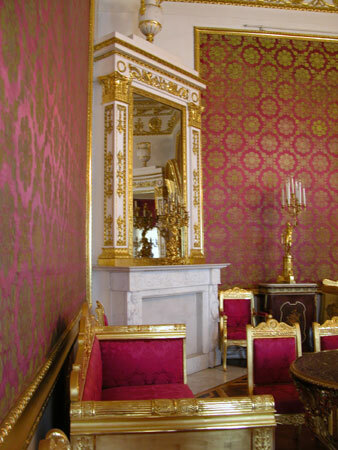 The panels on the walls are made of purple silk with golden patterns. 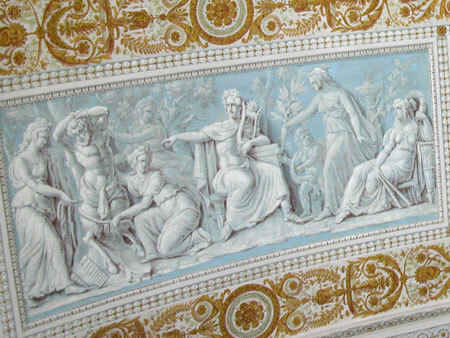 The ceiling fill contains scenes from Homer's "The Iliade" by painters P. Scotty and B. Medichi. 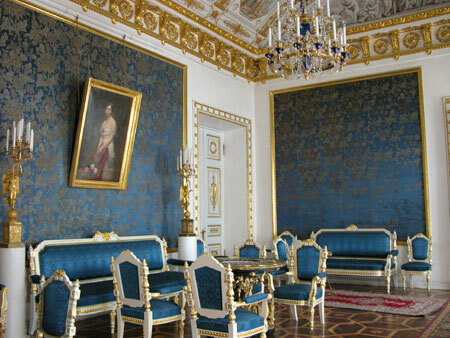 Here we can clearly see that the drawing rooms are right next to one another and connected by a corridor. 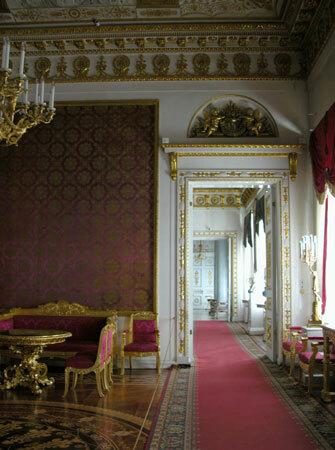 The gilt furniture (28 items) was purchased in the 1840'ies especially for the Red drawing room. 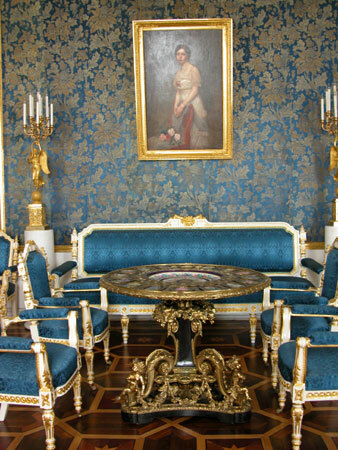 I recommend it, since "Adventures of Sherlock Holmes and Dr. Watson" is by far not the only thing Konan Doyle wrote. 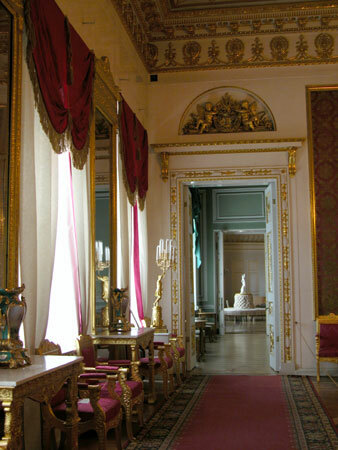 At the very least it is worthwhile to read "The Exploits of Brigadier Gerard ", and "The Lost World" (doesn't have anything in common with the movie "based on it") and many others. 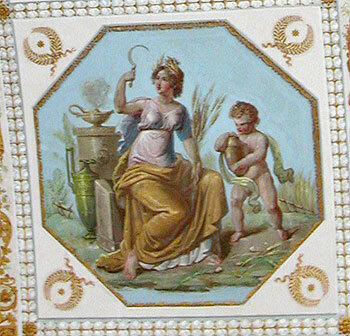 The ceiling fill is by the same painters - P. Scotty and B. Medichi. 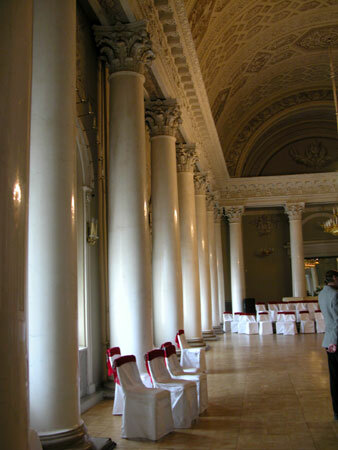 The pilasters (flat columns) are of fake marble. 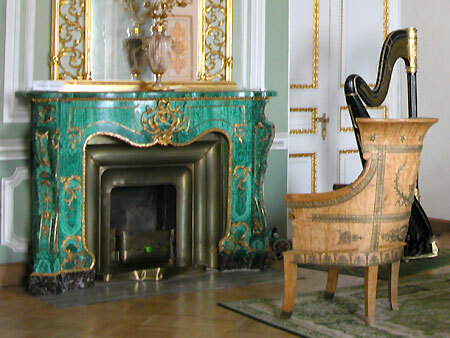 Even though this sit looks quite modern, that look is deceiving. 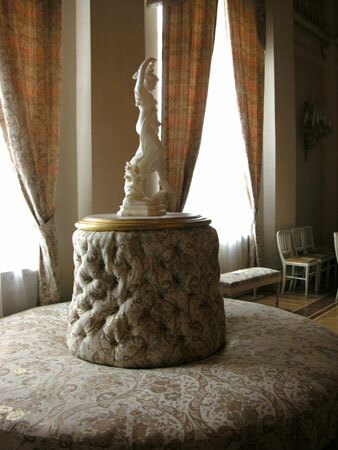 It is actually old, there is even a sign "Do not sit!" 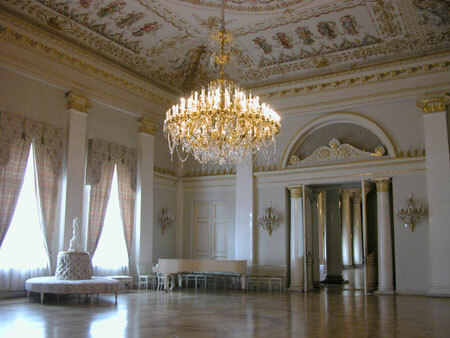 The White Column (Banquet) hall. 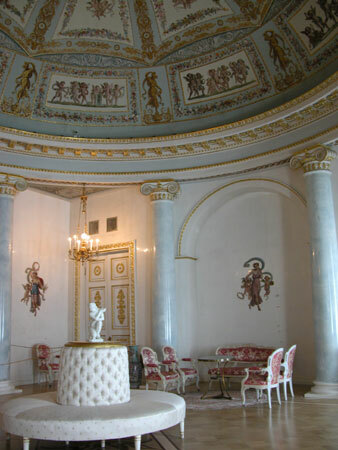 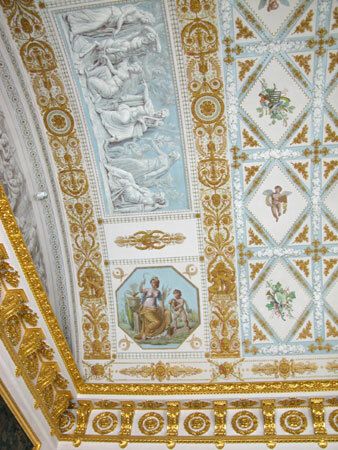 It occupies two stories in height - one of the largest halls in the palace.The vault was painted by F. Torichelli. 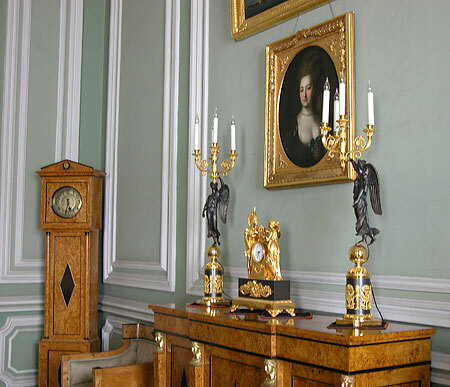 Graces are depicted between the columns. 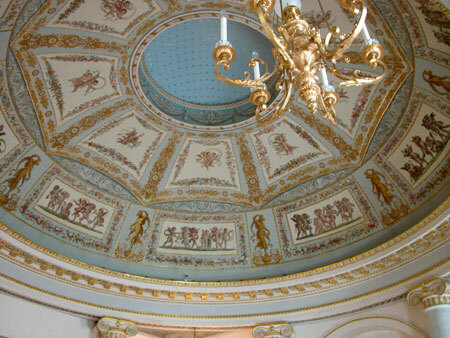 The dome symbolizes the starry sky and was done by painter A. I. Travin. 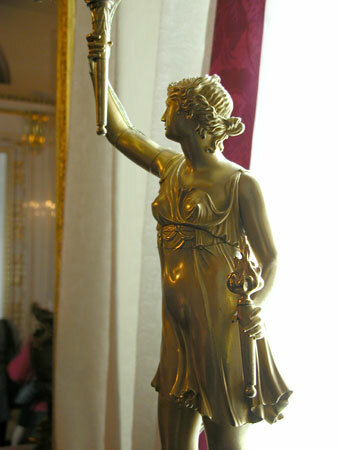 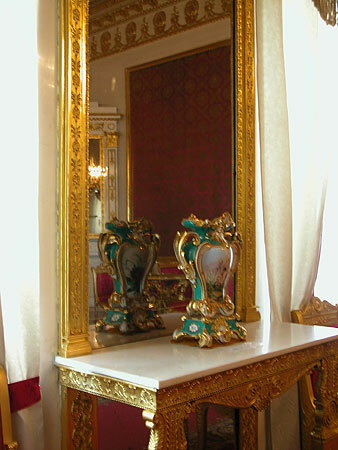 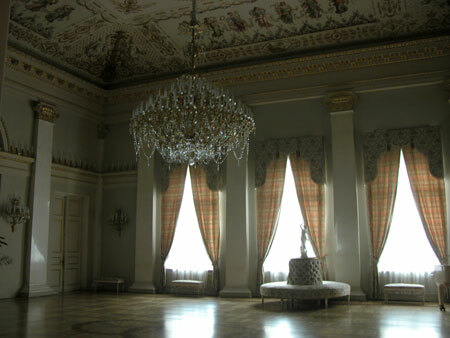 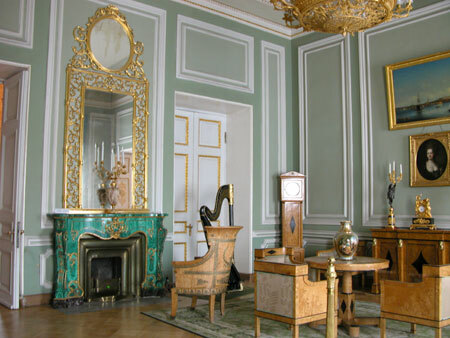 So far this is all I could show you in the Yusupov palace.